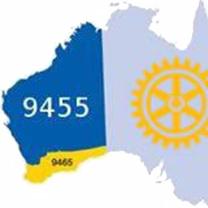 The Rotary Club of Subiaco meets weekly at the The Vic, 226 Hay St, Subiaco We start arriving at 5:45pm and head upstairs to our meeting at about 6:15pm. Whether we have a speaker or are concentrating on club business we aim to finish by 7pm. After the meeting many of us stay for a great pub meal and a great talk amongst ourselves. We welcome visitors - locals who may be interested in joining, members from other clubs and the friendly faces of past members.